Lynchburg scored three runs on three hits in the third, but a four-run frame for Carolina in the sixth handed the Hillcats back-to-back losses for the first time this season. Taylor Murphy extended his team-best hitting streak to 13 games, while Daniel Salters singled in the third to push his hitting streak to 10 in a row. Lynchburg tallied three runs in the third to take the initial lead. Salters opened the stanza with a single, and Ivan Castilloreached on an error when he laid down a sacrifice bunt. Two batters later, Yu-Cheng Chang drove them both home with a single to left field. Anthony Santander followed with an RBI double, and the Hillcats held a 3-0 advantage. Santander finished the game 3-for-3 for his team-leading fourth three-hit game of the season. Carolina answered with a four-run sixth inning to ultimately take the contest. After five shutout innings, Mitch Brown ran into trouble when the first three batters reached to load the bases with no one out. That knocked Brown from the game, andAnderson Polanco entered. Polanco walked the first batter he faced, Braxton Davidson, to give the Mudcats their first run of the evening. Two wild pitches to ensuing batters allowed Dansby Swanson and Jordan Edgerton to come home and tie the game, 3-3. With two outs and Davidson still on base, Tanner Murphy hit a high pop fly to the right side of the infield, which Bobby Bradley dropped. Davidson scored on the play, and the unearned run proved to be the difference. Brown (1-1) did not factor into the decision after going five-plus innings. He surrendered three runs on six hits, struck out four and walked two. Polanco (1-1) suffered the loss after allowing all three of inherited runners to score and one other to cross home. Enderson Franco (2-1) earned the win with a quality start of six innings, three runs, two earned, five strikeouts and no walks. Taylor Murphy and Daniel Salters have the third- and fourth-longest active hitting streaks in the Carolina League…Mike Papi’sseason-opening on-base streak of 18 straight games ended with an 0-for-4 day at the plate. Lynchburg returns to Five County Stadium for a Saturday night contest at 5 p.m. Luis Lugo (1-1, 4.79) will start for Lynchburg against another lefty, Ryan Lawlor (1-1, 5.09). 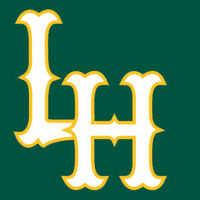 Fans can listen to the action on 93.3 FM and 1320 AM as well as www.lynchburg-hillcats.com, beginning with the Hillcats On-Deck Show at 4:45 p.m.